The inaugural Bali 10’s Rugby Tournament took place 22 years ago on the playing field of the Grand Bali Beach Hotel in Sanur. 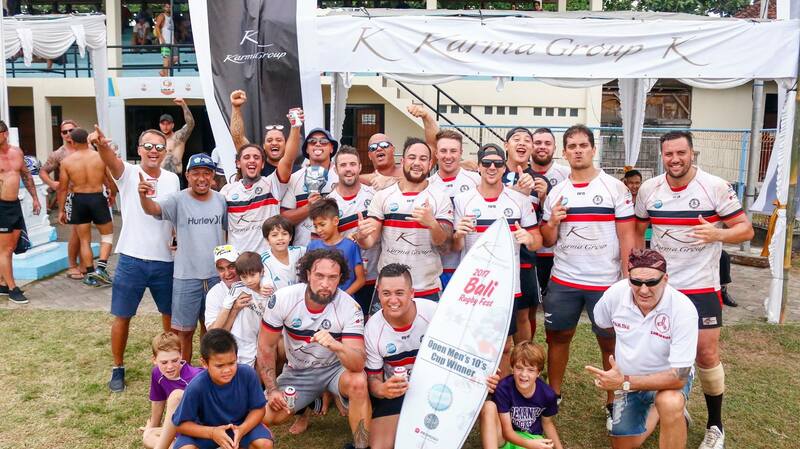 The Bali Rugby 10’s has since grown into one of the most successful and famous tournaments in the region with teams from Australia, New Zealand, Malaysia and Singapore all sending teams to participate. In 2000, History was made with the debut of the first all Indonesian Team in the Bali Rugby 10’s Tournament. The tournament now not only consists of the original open mens division but has also successfully added a Veterans and Women’s division. The Women’s division is going from strength to strength and the Bali Rugby Club is now proudly represented by the Bali Chilletes in this division. In addtion to the Bali Chilletes the Bali Rugby Union Club is represented by the Bali Chillies mens team and also their development side the Bali Hanoman. Around 40 teams will come to the tournament, from Australia, NZ, Singapore, India, Malaysia, Philippines, Thailand and Indonesia. Divisions include open mens & and vets 10’s and womans 7’s . 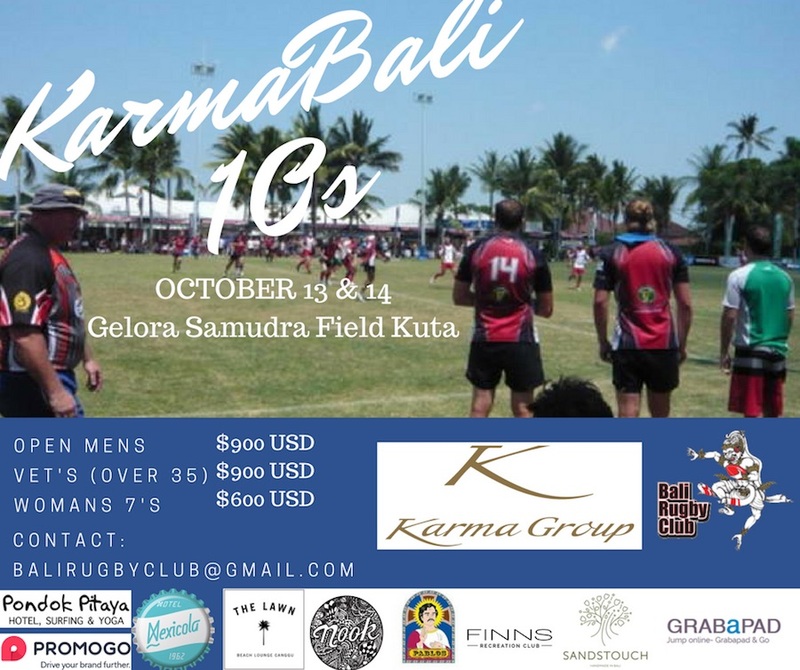 Don’t miss a great day to watch local rugby here in Bali at the Karma Bali Rugby 10’s Tournament 2018. This year the tournament will take place at Gelora Samudra Field in Kuta. More information visit their Bali Rugby Facebook Page .